Calligraphy is something I’ve grown to love, way more than I ever thought possible. It’s something that “greets” your loved ones before you can. 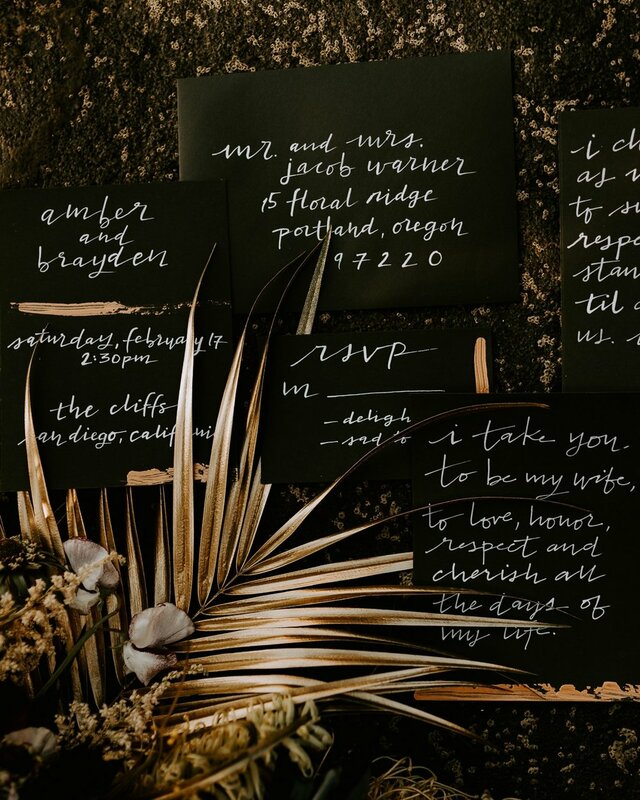 Whether you’re sending invitations, incorporating welcome signage, or using place cards, it welcomes your guest to the next important part of your event. Each project I’ve done, has all been unique to fit the couple’s style. Whether it’s the classic black and white, adding gold for fun accents, or anything in between, there’s no end to the possibility of what can happen with this art form. Check out my Etsy shop to see what types of calligraphy we can add to your special day! thanks for subscribing! free goodies headed your way soon!